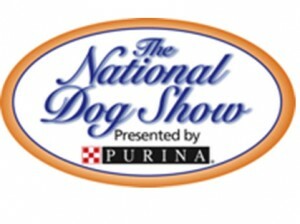 “The National Dog Show Presented by Purina®” will be hosted by award-winning TV personality, author and Broadway star John O’Hurley (“Seinfeld,” “Dancing with the Stars”). Returning to offer expert analysis is American Kennel Club-licensed judge David Frei, who has officiated at dog shows worldwide and, alongside O’Hurley, has co-hosted the competition since its inception in 2002. NBC Sports correspondent Mary Carillo will report from inside the show ring, and former U.S. Olympic figure skaters Tara Lipinski and Johnny Weir will offer behind-the-scenes access as digital contributors. Two new American Kennel Club-sanctioned breeds will be included in this year’s competition – the Nederlandse Kooikerhondje (sporting group) and the Grand Basset Griffon Vendéen (hound group) – bringing the total recognized breeds to 192. Since 2003, 45 new breeds have been introduced to the event. Last year, Newton, a 3-year-old Brussels Griffon (toy group), took home the Best in Show title among the seven group winners. Newton impressed the judges with his superior condition and form, beautiful coat and loving personality. A beloved holiday tradition for families across the nation, the broadcast reached more than 22 million viewers last year. Over the last two years the telecast has delivered its two biggest audiences in its 17-year run on NBC. The National Dog Show is part of a five-hour block of family programing on NBC, offering the country’s 65 million pet-owning households a full afternoon of fun entertainment while raising money for canine-related causes. In its unique format, the Kennel Club of Philadelphia offers an open environment for the esteemed event and remains one of the only “benched” dog shows, displaying all 2,000 competing purebred canines to the visiting public. Continuing the family fun, NBC Sports Network (NBCSN) will present a Thanksgiving Day marathon (beginning 5 p.m. ET/2 p.m. PT) of “The National Dog Show Presented by Purina®,” featuring all five Best in Show winners from 2013-17. In celebration of Thanksgiving and the National Dog Show, Purina is inviting pet owners across the nation to share why they are thankful for their pet. From Nov. 9-25, for every unique post shared on Facebook, Twitter or Instagram that includes @Purina and #DogThanking, Purina will donate $1 (up to $25,000) to Tony LaRussa’s Animal Rescue Foundation Pets and Vets program. This amazing program helps pair shelter pets with veterans coping with PTSD, traumatic brain injuries, anxiety and other service-related challenges as they transition back to civilian life following their service. Posted by chesliepickett on Nov 7 2018. Filed under Featured, The Buzz. You can follow any responses to this entry through the RSS 2.0. Both comments and pings are currently closed.